Yesterday, Comcast announced it's 4th quarter results and held a conference call. During the conference call, Comcast revealed that Xfinity Mobile finished 2017 tallying 380,000 subscribers. That number was up from quarter 3, 2017 when the total count was 250,000. The service was only launched in early 2017, so those are significant gains for any MVNO. Not all was great for the brand though. According to the Comcast earnings release, the costs associated with scaling Xfinity Mobile partially contributed to a 4th quarter EBITDA loss of $538 million as filed under the category of "Corporate, Other and Eliminations." Other contributions to that category loss included a $171 million expense attributed to the payout of a special employee bonus. For the full year, the adjusted EBITDA category loss was $1.14 billion. Overall with it's other combined brands, Comcast performed quite well. The company posted strong revenue gains and free cash flow for both the quarter and year. You can get the full details here. I won't go into them being that they don't relate to the MVNO world. Similar to Republic Wireless and Project Fi, Xfinity Mobile is a Wi-Fi first brand. That means talk and text and data are provided over Wi-Fi whenever it's available. (Update: 02/03/18 - Wi-Fi calling and texting is only supported on iPhones at this time.) Comcast has a network of 18 million Wi-Fi hotspots across the country that it uses to help power the service. When Wi-Fi is unavailable, the Verizon network is used as a fall back. Xfinity Mobile is priced at $45/month for unlimited talk, text and data. Customers can also choose to buy shareable data by the GB priced at $12/GB. Comcast said that most of its Xfinity Mobile subscribers elect to pay by the GB. Unfortunately the service is not available everywhere. 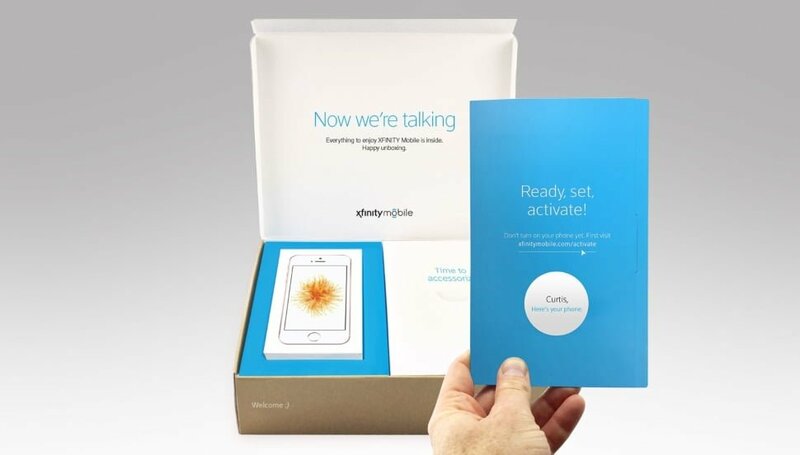 In order to signup for Xfinity Mobile, you must have Comcast service in your area, and you must be subscribed to their Xfinity broadband internet service. Up until this month, you also had to purchase a device from Xfinity Mobile. That restriction has now been lifted and customers can bring their own compatible devices to the network. Comcast and Xfinity Mobile still have a long way to go if they want to make a big dent in the wireless space and take market share away from some of the major carriers and their MVNO's. I can see a future where Xfinity Mobile or some other provider one day leaves the major wireless carriers behind in favor of exclusively using hotspots across the country to provide talk, text and data. We're still a long way from that day though. The J3 mission sounds looks like a Verizon prepaid phone. It won’t work on Xfinity until you use it on Verizon prepaid for at least 1 month. I don’t think they yet offer talk and text over WiFi like the article indicates, but it would be great to know if that is really the case. You are correct. It seems that they are prohibited by Verizon from doing so for the time being. This may change in a few months. I switched to Xfinity Mobile this week. Today I got carrier update 31.1 for my iPhone and WiFi calling is now enabled! That sounds great. I see that now, but unfortunately it’s limited to iPhones at this time.